We all have had that student, the one who misses class and then does not get the make-up work. He doesn’t ask for the work, he forgets what day he missed, or he whines to you that he needs the work…in the middle of a lesson. Even worse is when the student misses some work or a test, and doesn’t care to ask about it until he realizes that he is going to have an F on his report card for that six-weeks unless he takes the test. By this time, he can’t remember the test material! I am going to use a similar process for students turning in work or picking up graded work; there will be “drop boxes” labeled for each class, one for turning in work, and another for picking up graded work. 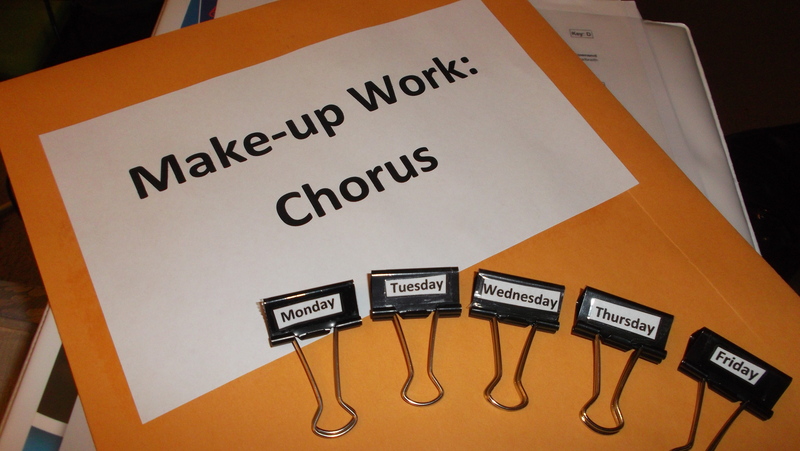 This entry was posted in Classroom Management, Tips and Tricks and tagged back, collect, hand, help, homework, how to hand out makeup work to students, idea, make-up, makeup, pass out, process, students, tip, turn in, work. Bookmark the permalink.